Sydney is an entertainment city, and when Sydney puts on a show, it is showing off in a fun and entertaining way. I am also a Sydney sider, and yes there is some element to this truth. I have carefully handpicked some of the top free events in Sydney that have stood the test of time, and will continue to be popular among locals and visitors to Sydney alike. The first listing is actually a popular location that hosts a variety of different free events. The ever popular Darling Harbour is home to free musical and street theatre entertainment. There is always signage around Darling Harbour with at least one free event on offer to attend every month from food festivals to fireworks and musical performances once again. To plan your time out in Darling Harbour in advance, it is always wise to check their website for upcoming free events. 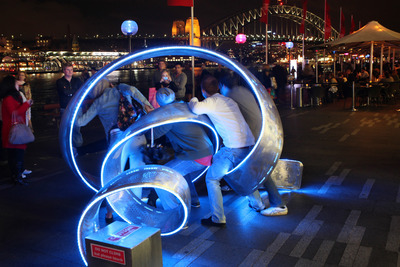 Generally speaking, Saturday night is usually the best time to come down to Pyrmont and enjoy some free entertainment. It also depends on the time of year as well. Darling Harbour is also home to the Australia Day fireworks and is a popular hot spot on Australia Day. Many of the city's museums open their doors for people to come inside and take a look, and yes entry is free. View the vintage cars along Macquarie Street, and you have free entry to the Hyde Park Barracks Museum for instance. Also the ferry riding contest along Circular Quay attracts the crowds. During the summer period (up until Australia day every year) the city comes alive with some free events from musical entertainment to live performances. The program always comes out from October onwards every year, so it is worth taking a look and plan ahead. Happy Mardi Gras season provides for fun experiences for locals and visitors to Sydney alike. The fair day is on in February every year, and it is a chance to score some free entertainment with a dog's parade; a musical and dog appreciation day at Sydney's Victoria Park all rolled into one. The actual parade is generally on in the first weekend in March, and for those of you who still want a freebie out there; you need to get to your best vantage point (Hyde Park/Liverpool Street) super early to score the best spots. This parade provides for a never a dull moment experience with a chance to sneak yourself into a nightclub without paying cover charge afterwards. Think Sydney's Star Bar along George Street in some cases. You do not have to be Irish to appreciate the St Patrick's Day Parade. If St Patrick's Day (17th of March) falls on a weekend, then this event is held on the Sunday of that weekend; or if St Patrick's Day falls on a weekday, then the event is usually held the Sunday before St Patrick's Day. A parade to appreciate Ireland and Irish Dancing with family entertainment including jumping castles and face painting afterwards is provided. Although a free event, the latter can attract a small charge. Sydney architecture (think Customs House and the iconic Sydney Opera House) comes to life in a kaleidoscope of lights, design, creativity and musical entertainment that is called Vivid Sydney. Make it a night out for dinner or a snack along the quay and watch key landmarks come to brightness in a variety of different colours and patterns. This much loved annual event is great for Sydneysiders of many different age groups. Performances by "The Wiggles" are always a hit with the kids, and enjoy a variety of different carols performances by emerging and popular artists. It is advisable to get there as early as you can to secure the best spots as this event attracts the crowds come Christmas time. Usually held on a Saturday night in mid December. Further information on this event can be found by clicking here. Sydney is home to the best fireworks display in Australia come New Year's eve. Great themes every year. 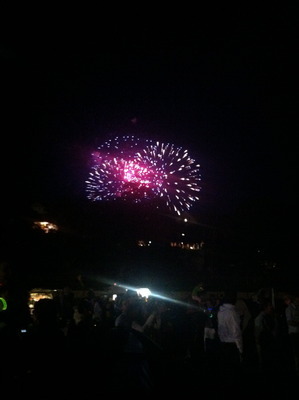 It would be great if the fireworks went for at least another five minutes at both the 9pm and the midnight time slots. These free events will ensure that everyone has a great time in Sydney. Sydney is a diverse and amazing city that also knows how to put on great free events, and remember to enjoy.